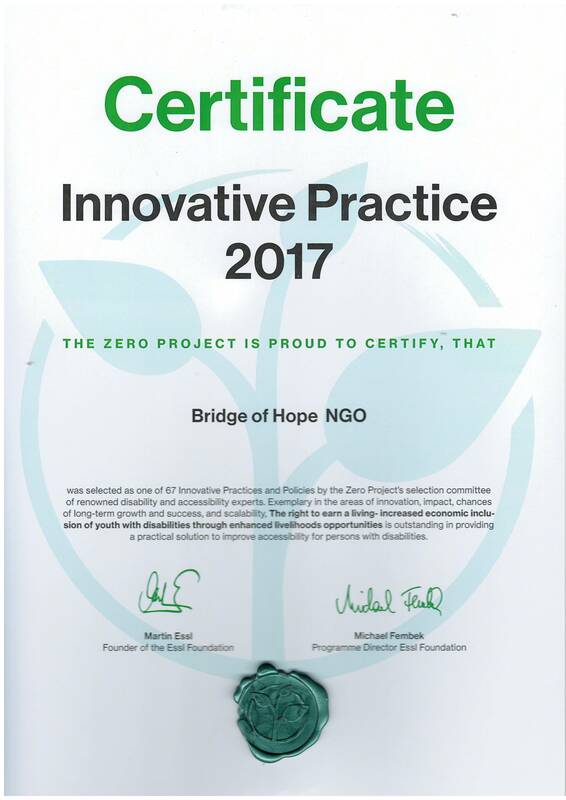 Through the total period of its’ operation the “Bridge of Hope” has won local and international recognition for its’ great contribution to the field. 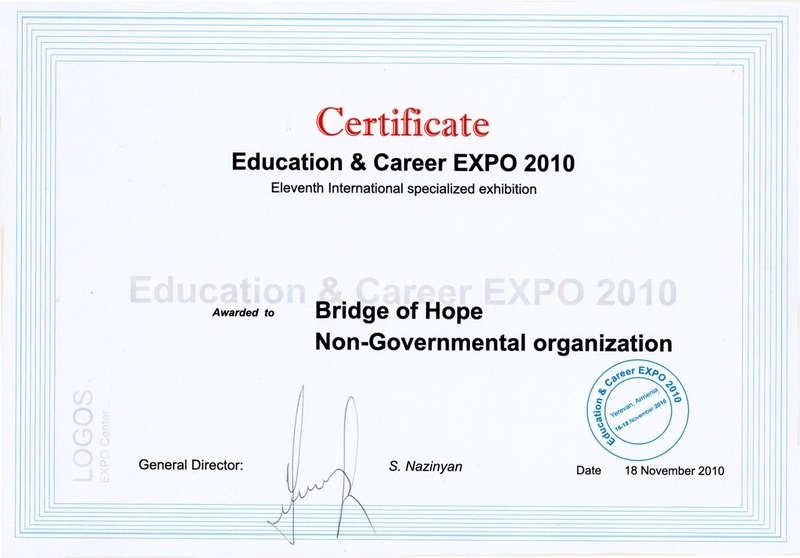 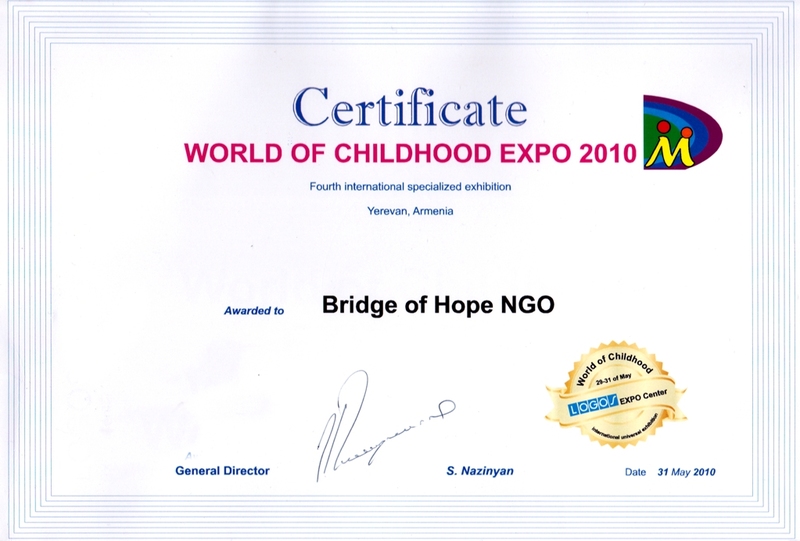 The “Bridge of Hope” had not only local but also international recognition. 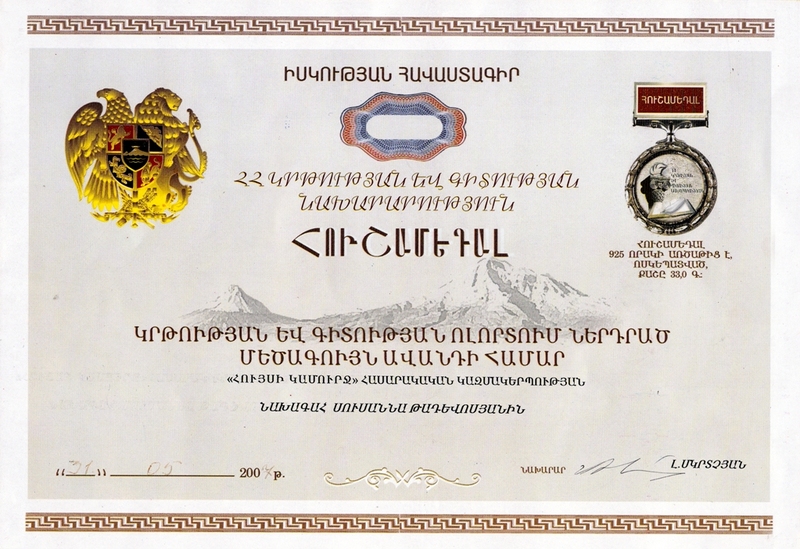 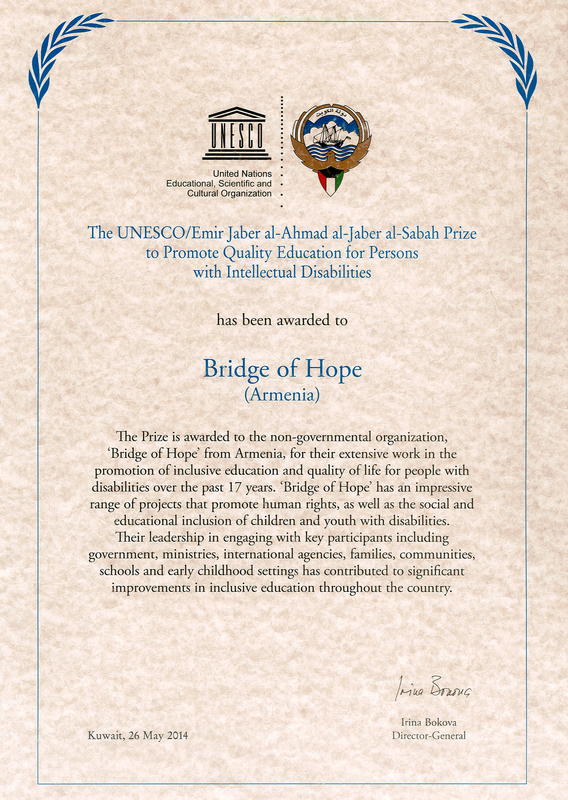 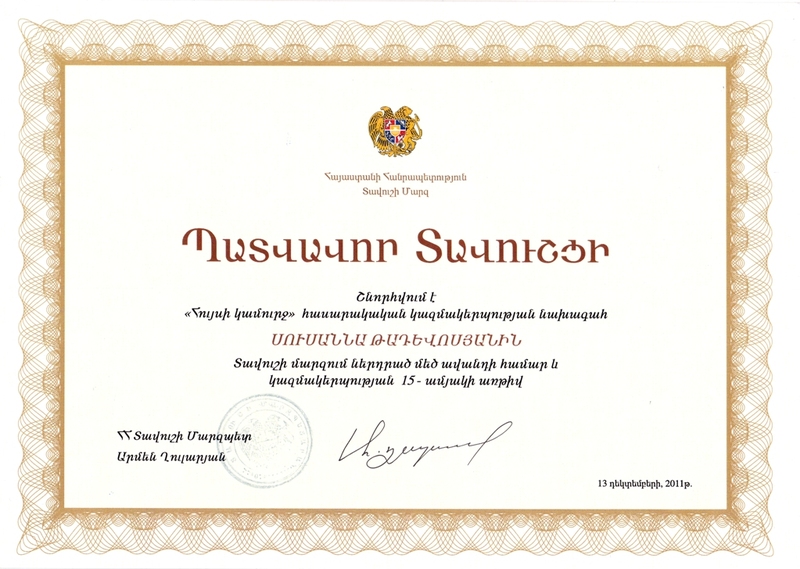 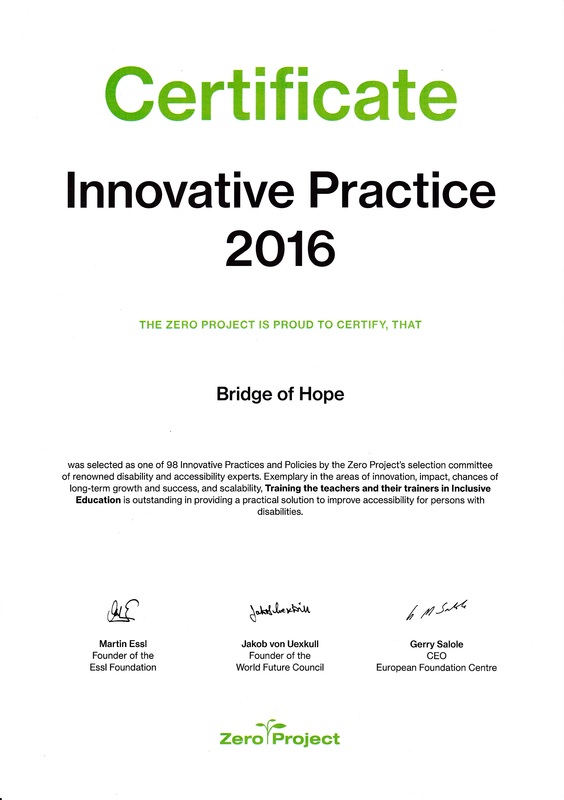 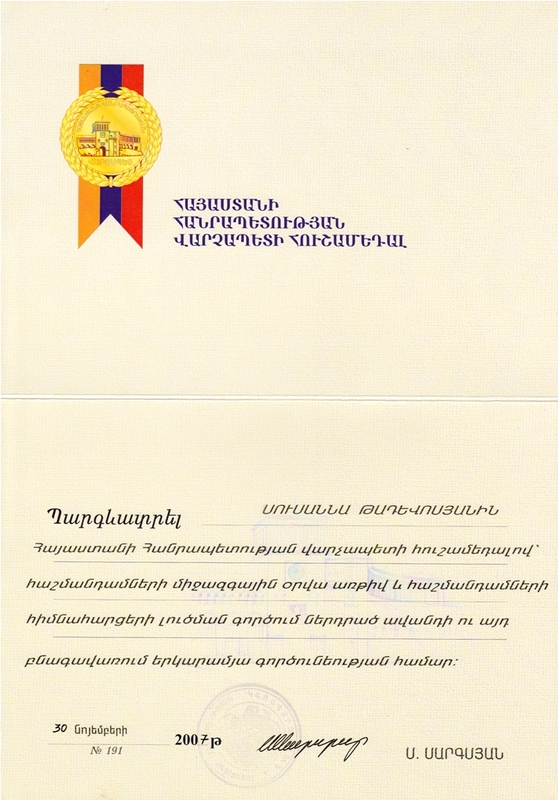 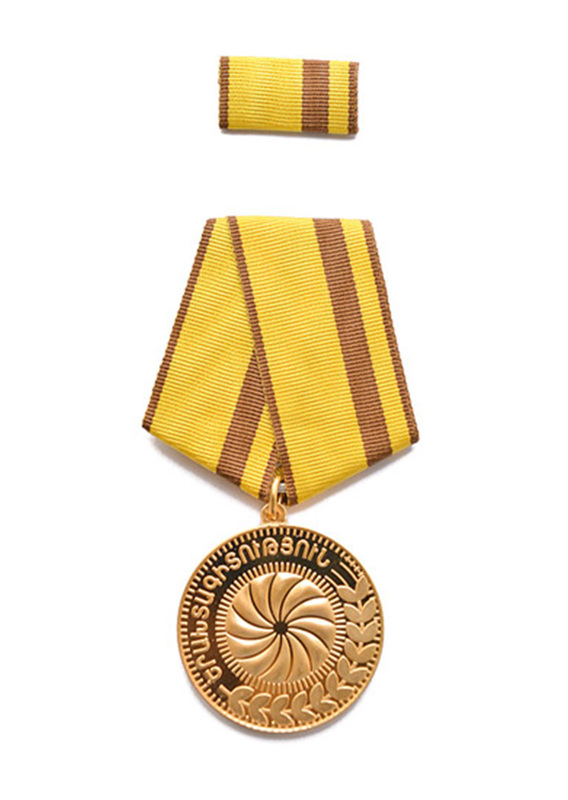 In 2014, for its extensive in the promotion of inclusive education for persons with disabilities “Bridge of Hope” has won the international UNESCO award, and in 2016 the strategic program “Education for All: Inclusive education” was awarded an international Zero project prize as an exemplary model for many countries.